Every day, He Runyuan explains what happiness is to hundreds of tourists. 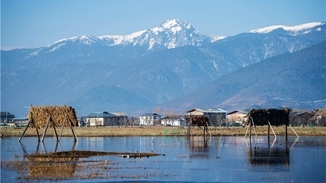 "Dongba symbols are used by China's Naxi ethnic group and one of the world's only remaining pictographs. For them, happiness is a steaming hot pot of food," He said. "As in the past, having a hot meal means everything." 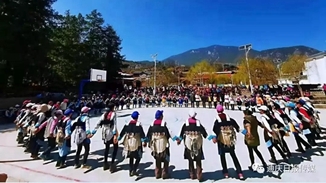 In a traditional Naxi costume of goatskin vest and a white robe, 42-year-old He guides tourists to learn the Naxi scripts, history, culture and tradition in his center of Naxi Dongba pictographs and paintings in the Old Town in the city of Lijiang, southwest China's Yunnan province. 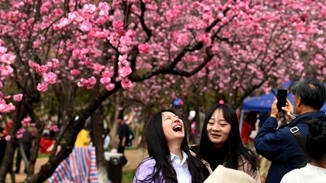 "Peak seasons such as national holidays and summer and winter vacations see around 5,000 visitors a day," he said. "After explaining the symbols, I will ask the tourists to pick one they like and try to write it down," he added. 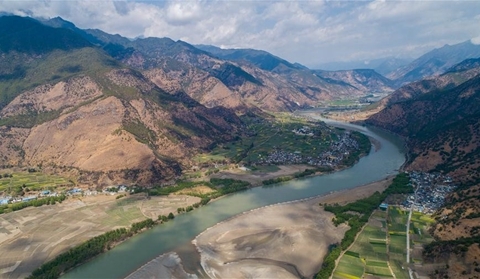 As a Naxi ethnic group person, He grew up in the Old Town, a UNESCO World Heritage Site with an 800-year history, which attracted more than 14 million tourists last year. 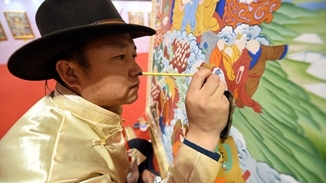 He has been learning Naxi painting and pictographs for about 30 years. 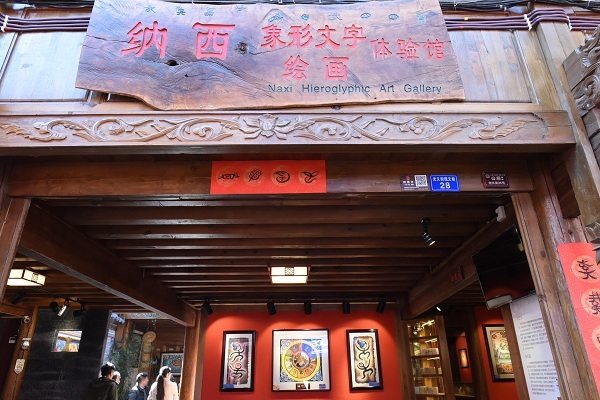 "With a population of more than 300,000, less than 700 Naxi people now understand Dongba pictographs, and only a dozen can do traditional Naxi paintings," he said.